Last month, my friends and I spent the day on Governor's Island. No, not for a dubious dub step concert, and no, not because we got lost. 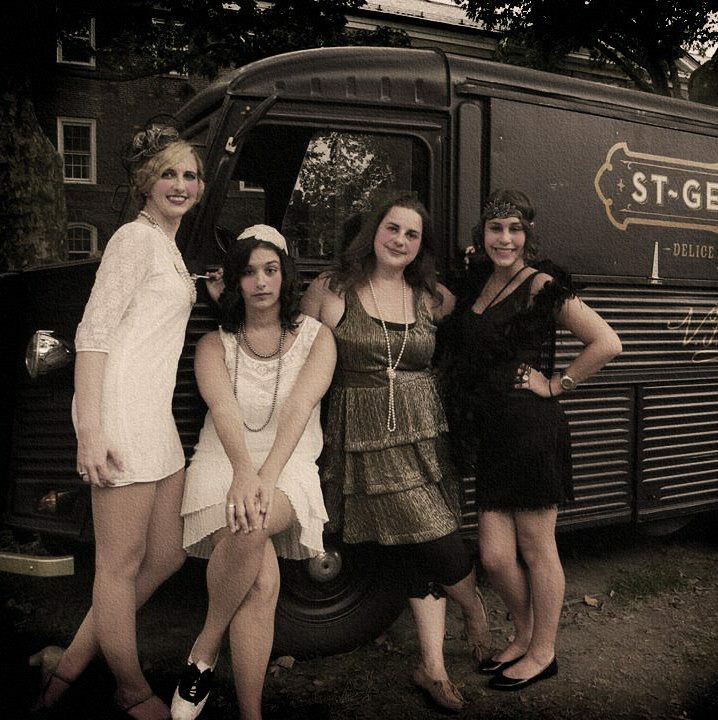 It was the 8th annual JazzAge Lawn Party, and we were there to welcome the Roaring 20s back in style. Just a few style tricks (including my character shoes from numerous high school musicals), some pearls, and lots of rouge, and I was good to go, half flapper, half reluctant Georgian. Through the magic of Photoshop, we all managed to look like the bee's knees. Now, if only I could learn to do the Charleston properly. My friends Laurie, Margaret, and Jess joined me in the time warp.